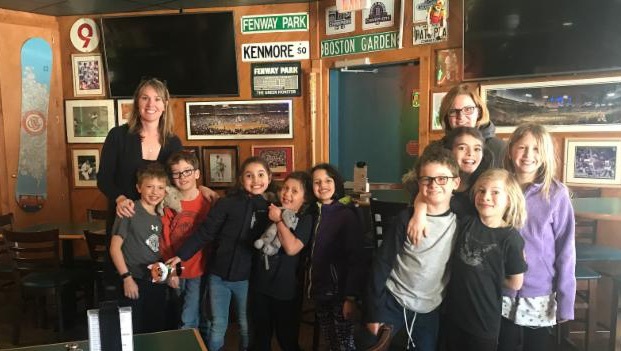 Our 3rd Grade Read-a-thon champions enjoyed a very special pizza luncheon at Pat’s Pizza with all the fixings including lemonade, nachos, pizza, and of course, ICE CREAM! Pat’s Pizza was extremely impressed with the amount of pizza our students consumed! Apparently our readers were hungry! Of course, after the luncheon, students had another treat of extra recess. What more could we ask for?